Can People Predict a Good and Bad Time to Buy a Stock? 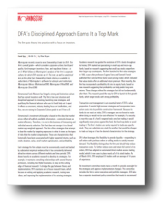 Morningstar recently issued a new Stewardship Grade for DFA. Read their report below.